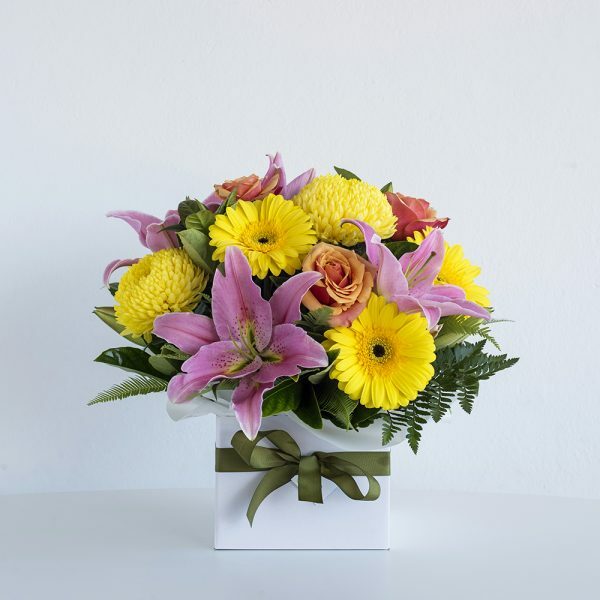 This stunning mix of bright, fresh colours makes for a delightful gift for any occasion! The large box arrangement consists of luscious foliage and the season’s best blooms available with endless choices all year and changing seasonally. The vibrant bright colours prove to be popular!